Spring to me always symbolizes plenty of things, new beginnings, bidding a farewell to winter, more family events, bike rides instead of car rides, the reappearance of freckles, and also the brighter the lipstick the better. 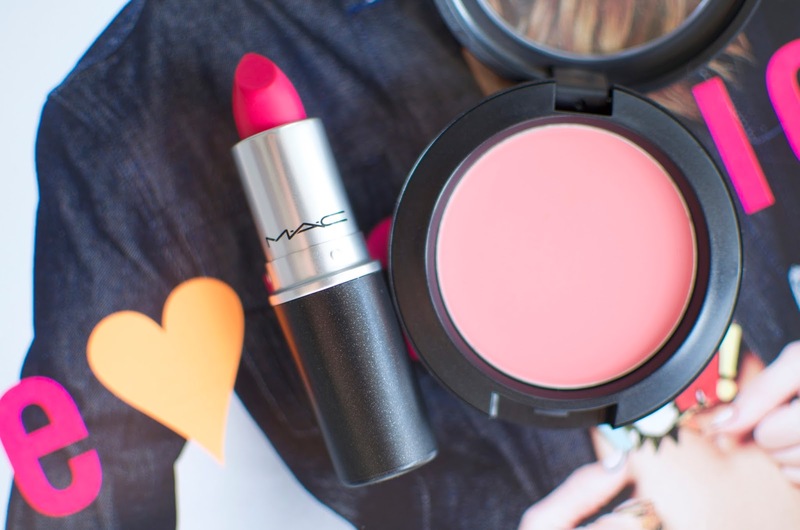 I have selected two of my favorite pink toned products to share with you as we make the venture into nicer weather. These two colors are going to be perfect for spring or summer, as well as day or night. 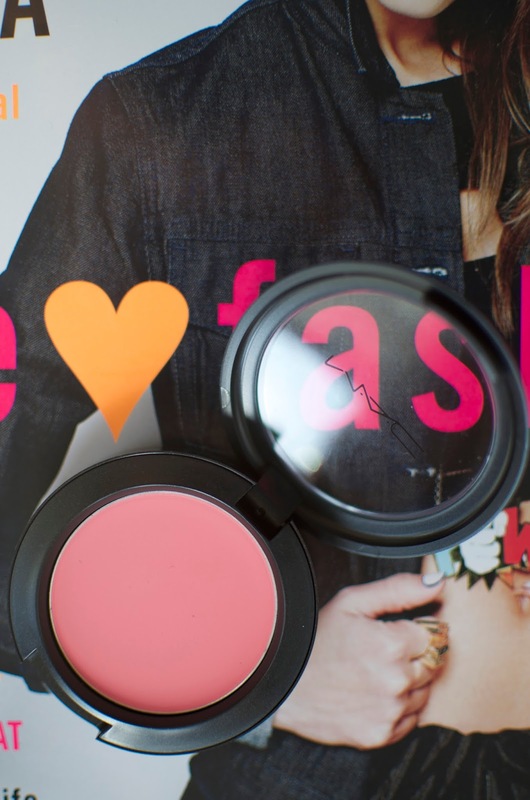 So Sweet, So Easy is the name of the blush and it is a creme which makes it a must-have for warmer weather. When this arrived at my door I was anticipating a fresh and girly color, but was pleasantly surprised by the bright salmon, pink color that it actually is. I like to apply my creme blushes using a Real Techniques Expert Face Brush, directly after my foundation. Using a stippling motion I put a small amount directly on the apples of my cheeks, then over top take a shimmery blush with a blush brush and work that from your apples back to your temples in light handed, sweeping motions. 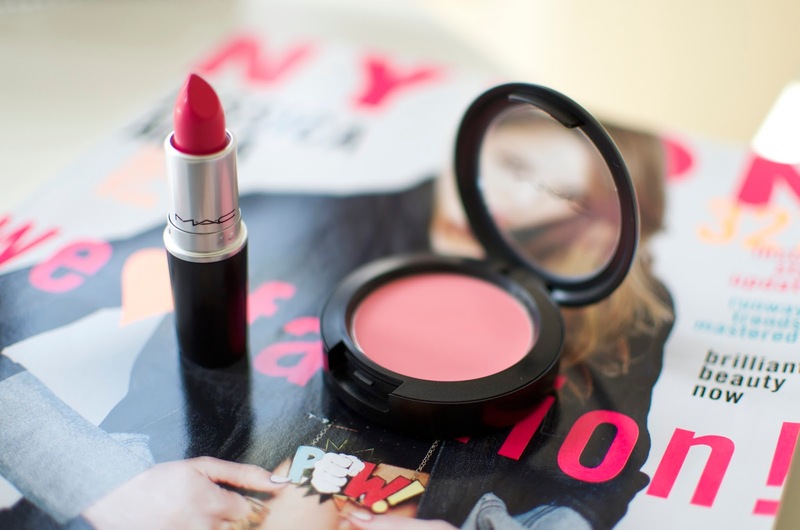 The lipstick is the famous Candy Yum Yum from MAC. It is a blue toned, electric, electric magenta. Yes, I did have to use the word electric twice. If you don't own a lip liner than I definitely suggest applying this with a lip brush so that you can be very precise, as well as prevent you from applying too much of the product and facing the always annoying, feathering. Eek. Would you rock this color? Now would you rock it day or night? It can look rather intimidating but once you fall in love you will want to go to bed wearing this bad boy!